According to a report by ESPN’s Bob Harig, Tiger Woods is working on plans to play in a series of televised matches based in Asia, with the first one potentially taking place in Japan later this year. No locations have been finalized for the proposed matches, nor has a format been determined for how these events would take place. However, ESPN.com reported that the matches would be one-day, televised competitions, and would likely take place around a planned Asian swing for the PGA Tour this fall that includes one tournament each in Japan, China, and South Korea. That event, the Zozo Championship, will take place at Narashino Country Club near Tokyo from Oct. 24-27. It’s unclear whether Woods would also play in any of the Asian PGA Tour events, though Steinberg said that Woods “would not disrespect a PGA Tour event,” suggesting he wouldn’t hold his own televised competition alongside a scheduled tournament. It’s unclear if these matches would be available on television or streaming for American fans. The matches would fall under Woods’ endorsement deal with Discovery, a partnership that has provided content to GolfTV, which does not broadcast in the United States. Woods is no stranger to televised golf matches. That tradition began in 1999 with the “Showdown at Sherwood,” when Woods defeated David Duval in an 18-hole match at the Sherwood Country Club in California. The very next year, he lost the “Battle at Bighorn” to Sergio Garcia, and several more matches followed in the years to come. More recently, Woods took on rival Phil Mickelson in “The Match” last November, which was held at the Shadow Creek Golf Course in Las Vegas. The pay-per-view challenge featured a $9 million winner-take-all prize pool, with Mickelson finally emerging victorious after four playoff holes. According to Steinberg, it’s very possible that Woods and Mickelson could meet up for a similar event again in the future, though talks are ongoing as to when or where that might happen, and if other players would be invited. 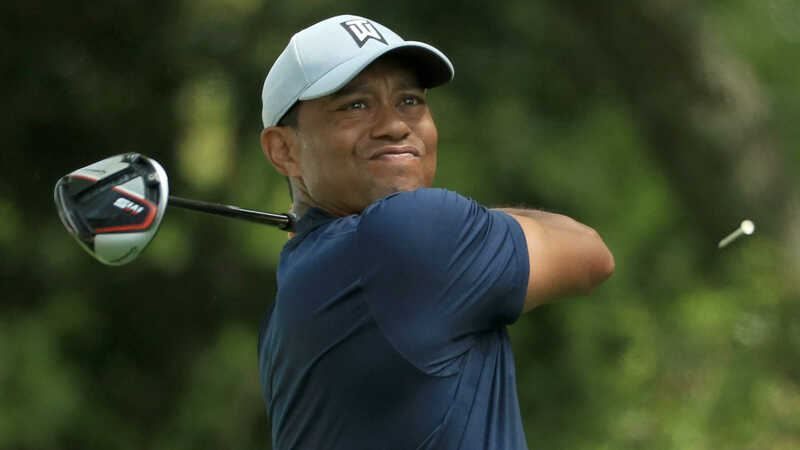 For this weekend, at least, Woods’ attention will be focused on The Masters, where the 43-year-old will look to win the tournament for the fifth time. As of Friday afternoon, Tiger Woods was tied for 15th place at three-under-par midway through the second round, four shots behind leaders Francesco Molinari and Jason Day. FanDuel Sportsbook was offering +1100 odds on Woods to win the Masters in live betting, with Molinari (+600) listed as the favorite to win the tournament.